Professors Susanne Lajoie and Krista Muis were appointed to the Royal Society of Canada, McGill University announced today. Thirteen McGill graduate students have won Vanier Scholarships, the university announced last week. This prestigious program is the federal government's top recognition of doctoral research excellence. 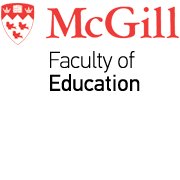 This week McGill University announced their prestigious internal recognition awards for 2018. Among the awardees, recognized for their outstanding research contributions, were Faculty of Education professors Ratna Ghosh, Shaheen Shariff, and Eve-Marie Quintin. McGill's Office of the Vice-Principal, Research and Innovation, has produced a series of videos highlighting recent inductees to the Royal Society of Canada. Professor Dilson Rassier, of our Department of Kinesiology and Physical Education, has been awarded a $687,430 grant from the Canadian Institutes of Health Research (CIHR) to pursue his research project on post-translational protein arginylation in skeletal muscles. A new study by McGill researchers concludes that CFL players continue to under-report their concussions. Lee Schaefer is coauthor of new book, "Conducting Practitioner Research in Physical Education and Youth Sport"